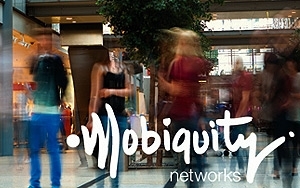 Mobiquity Networks, a location-based mobile ad network and indoor shopping mall beacon network, announced a partnership with mobile shopping network Shopular today that will increase Mobiquity’s publisher network by 7 million mobile users. In return, Shopular will be able to reach Mobiquity’s 250 million shoppers that visit more than 320 malls monthly, generating about $25 billion in monthly retail sales. Shopular notifies users of deals and sales when they are near a mall. According to Shopular, its Android and iOS apps now enable 300 million retail deal engagements per month, second in scale only to Facebook. Shopular CEO Navneet Loiwal stated that the advantage of the new partnership is that notifications will be pushed to individuals that are already in a shopping state of mind, based on their proximity to a mall. A recent study by Retale indicated that 84% of millennial shoppers respond to push notifications, and 61% are interested in offers that can be redeemed immediately. Beacon technology, while still in its infancy (along with most mobile tech), has a lot of hype surrounding it. The most visible and talked-about aspects of the tech revolve around geotargeting and location-based notifications. According to a report from Business Insider, beacons will directly influence $4 billion in retail sales in 2015, and will predicts that 2016 will see that number increase tenfold to over $44 billion. Beacons also present interesting possibility for marketers looking to break into the wearables market. A recent eMarketer study noted that most wearables have Bluetooth transmitting constantly, which opens up avenues for marketing that may not have previously been available.